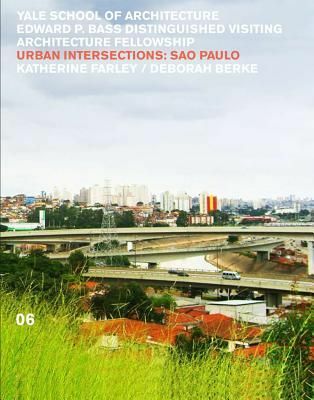 Urban Intersections: São Paolo documents the collaboration of Edward P. Bass Fellow Katherine Farley, senior managing director of the international real estate developer Tishman-Speyer and Yale adjunct professor Deborah Berke, assisted by Noah Biklen, at the Yale School of Architecture. The book features ways to examine the process of urban design and development in São Paolo, Brazil, a rapidly growing global mega-city, with all its attendant vitality and contradictions. The work engages both the development issues of schedule, phasing, risk, sustainability, value, and density along with the architectural issues of scale, formal clarity, envelope articulation, use of color and texture, and the relationship of building to landscape. An essay by Victoria Grossman analyzes and critiques development in Sao Pãolo. Size: 23,4 x 18,4 cm. / 5.3 x 9.25 in.